Dane Cook, one of the most prolific stand-up comedians of the last decade-plus, is set for a Mohegan Sun Arena performance on Saturday, April 21st at 8:00pm, presented by COMIX Mohegan Sun. Just for Laughs’ “Stand Up Comedian of the Year (2016)” Sebastian Maniscalco continues spreading his laughs across the U.S. on his Why Would You Do That? Tour. The tour will be live at Mohegan Sun Arena on Saturday, August 26th and Sunday, August 27th. Both shows will begin at 7:30pm. One of the biggest movie stars on the planet is returning to Uncasville for another night of hilarious stand-up comedy. Adam Sandler, along with friends David Spade, Rob Schneider and Nick Swardson, will be live in Mohegan Sun Arena on Saturday, December 10th at 8:00pm. Mohegan Sun is excited to announce that Emmy winner Seth Meyers is scheduled to play the Arena on Saturday, May 2nd for a stand-up comedy performance at 8:00pm. One of Comedy’s biggest acts is heading to Mohegan Sun Arena for a night of laughs. 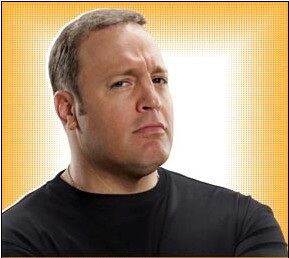 Here Comes The Boom star Kevin James will perform on Saturday, June 1st at 8:00pm.